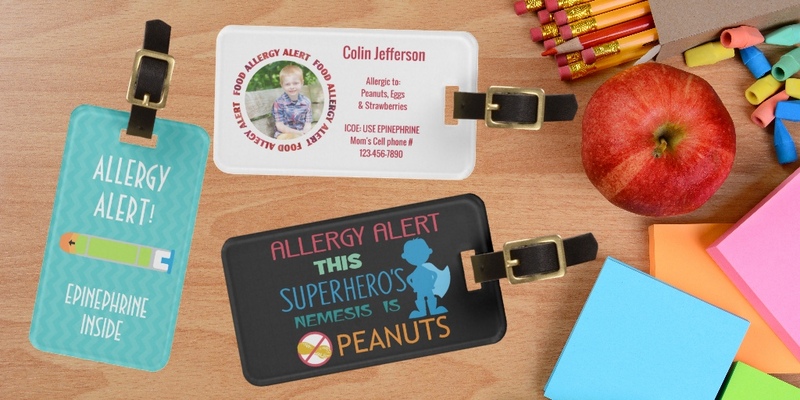 Shop our online store through Zazzle to order your large personalized double sided allergy alert tags. All tags may be personalized with name or text area can be left blank if you do not wish to include your child’s name. You may also add information about specific allergens, carrying epinephrine or other medical information. 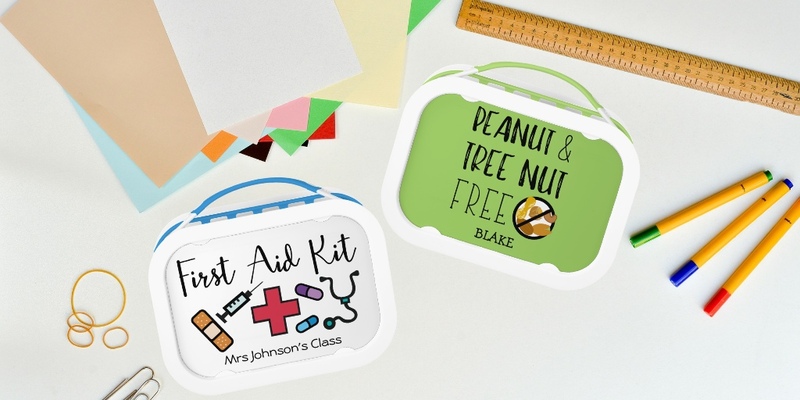 Bold, bright and large for caregivers to see when attached to your child’s book bag, medicine kit, or lunch box. 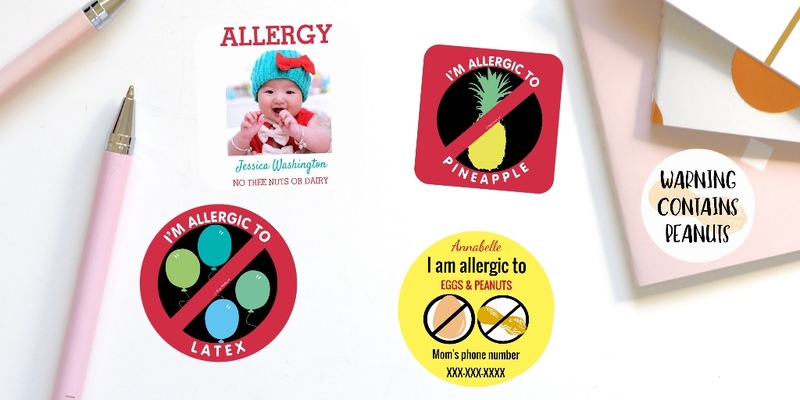 Choose from a variety of designs displaying images of epinephrine, bold warning symbols and kid-friendly graphics. These double-sided ‘luggage tags’ are made of ultra-durable acrylic and are business card size with dimensions: 2″ x 3.5″. Made UV resistant and waterproof. Leather luggage strap is included. NEW OPTION: Luggage Tag with Business Card Slot. The design is on front only and the back and has a built-in slot to fit a standard size business card. This option includes a pre-printed card to hand-write identification details. Contact us with design requests! Showing 1 - 44 of 44 products.